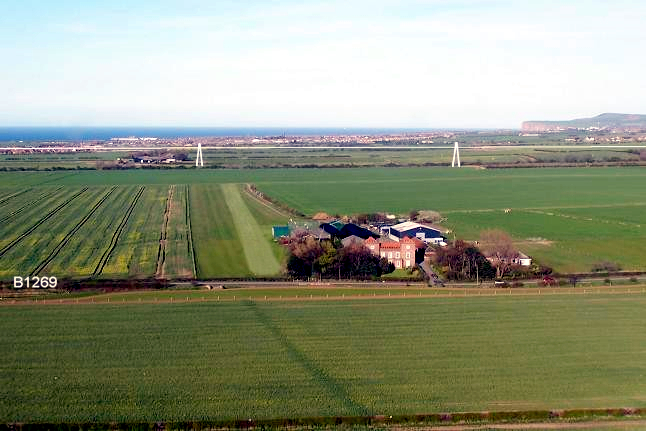 Current view of Yearby Airstrip 2017: Looking South East towards New Marske Woods, on the hill. 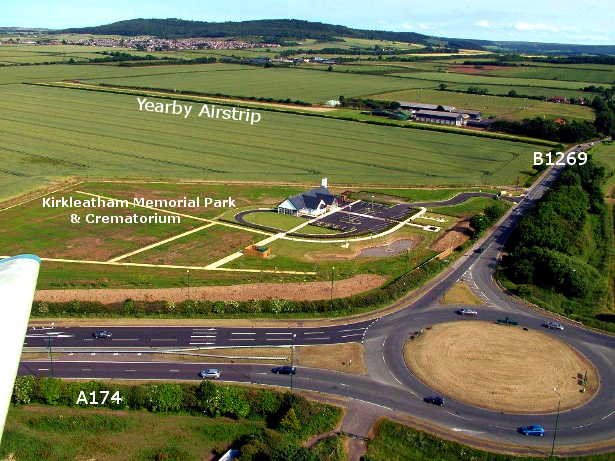 The foreground shows the A174 roundabout with the B1269, and Kirkleatham Memorial Park and Crematorium. The Crematorium opened in 2014 and is not shown on any other photo. 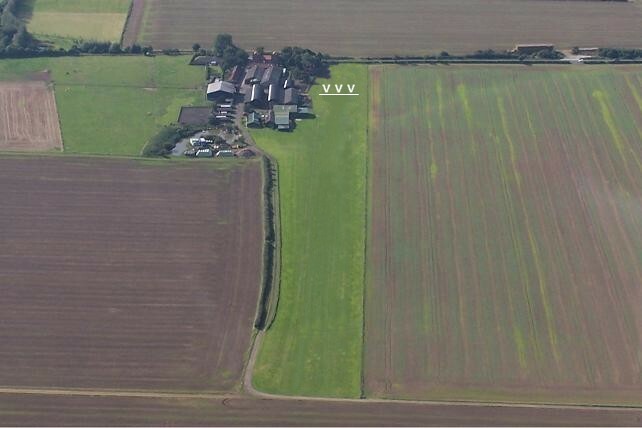 The following two photos show the location of what we refer to as the Winter Strip (the darker green line). This is the smoothest and driest surface. 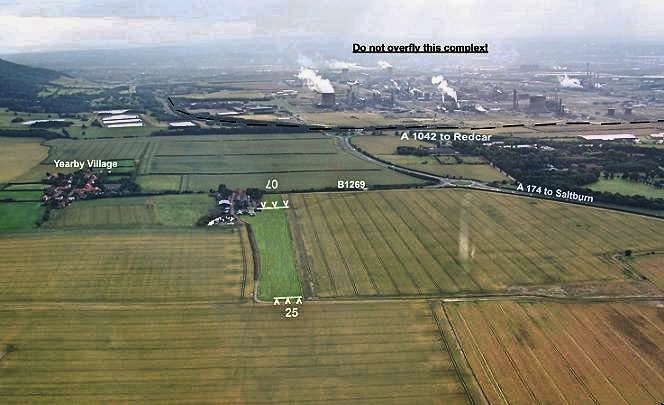 Above: View of 07 showing the line of the Winter strip in dark green. There is a displaced threshold at this end of the strip. Below: View of 25 showing the line of the Winter strip in dark green. Prior permission and briefing are essential. Use is at the pilot's discretion and risk. 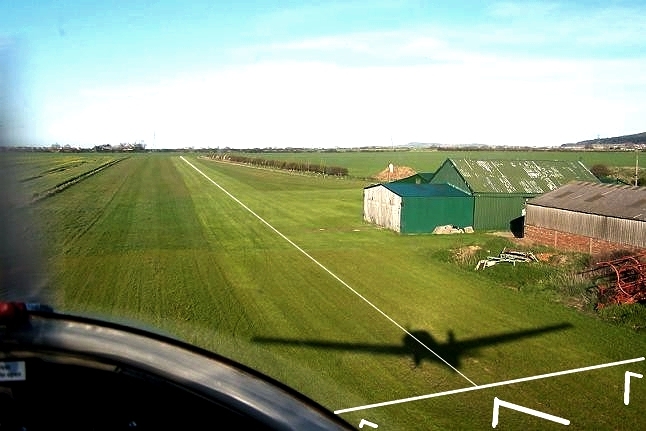 Below: View of 07, Short Final, showing the displaced threshold and the line of the driest area during wet weather or the Winter/Spring strip. 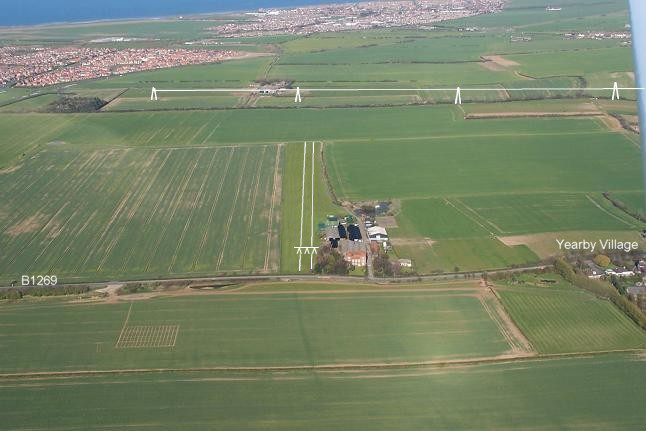 The darker area to either side is used for a hay crop in Spring to early Summer. Below: View from the Western end. 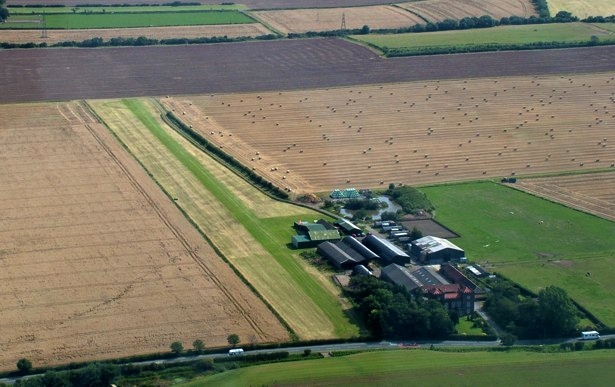 The line of the Winter/Spring strip and the displaced threshold at the Western end. 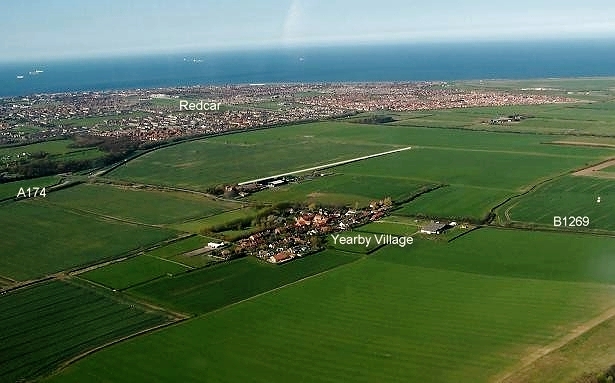 Below: Aerial views of the field. 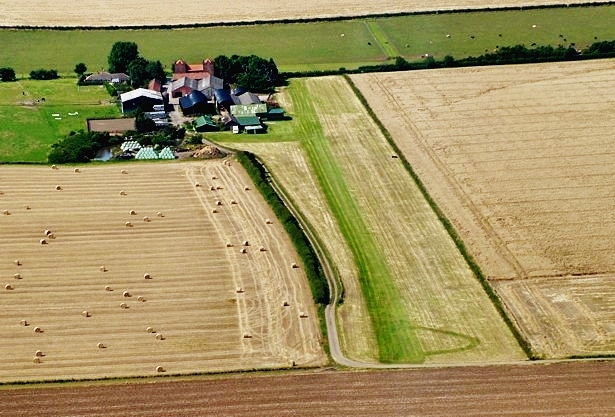 During Summer months the whole of the field can be useable as shown in the following two photographs. Below - View of 07. Showing the darker areas where the hay crop is grown either side of the Winter/Spring strip and the power lines on 25 approach.